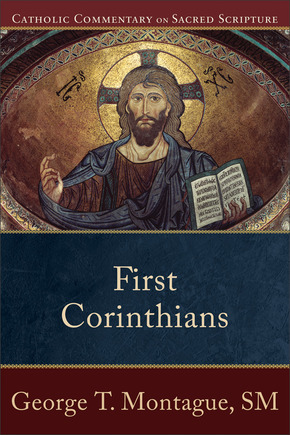 Description: In this addition to the Catholic Commentary on Sacred Scripture (CCSS), a seasoned scholar interprets First Corinthians for pastoral ministers and lay readers alike. The CCSS series, which will cover the entire New Testament, relates Scripture to life, is faithfully Catholic, and is supplemented by features designed to help readers understand the Bible more deeply and use it more effectively in teaching, preaching, evangelization, and other forms of ministry. Citation: H. H. Drake Williams III, review of George T. Montague, First Corinthians, Review of Biblical Literature [http://www.bookreviews.org] (2014).